Food Wars is a very popular anime series. The show is very highly rated with the audience. The show has received high praise from the critics. The show has received three seasons so far. The fourth season of the show seems to be on its way later this year. 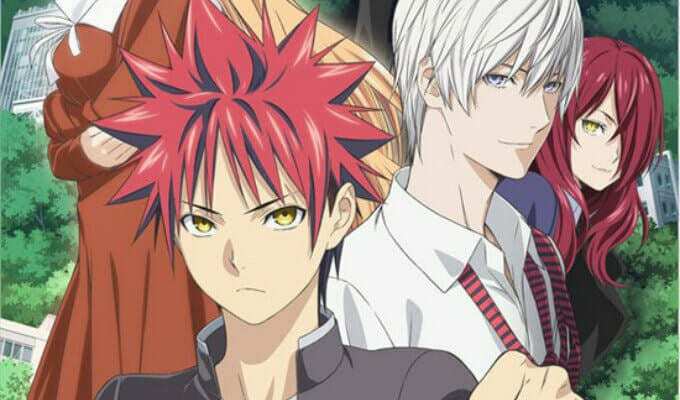 Food Wars’ fourth season will most likely be released in late summer/fall 2019. We haven’t received an official release date yet but, we will definitely keep an eye on any news about the new season. The dubbed version of Food Wars has received two seasons so far. So, the fans who watch the dubbed version of Food Wars, there might be some good news. The second season of the dub was released 3-4 months earlier than the release of the third season of sub. It is possible that the third season of the dub will follow the same pattern. So, if this is really the case, then the dubbed version of Food Wars should come out in March or April. The fans won’t have to wait for a long time to see another exciting season of Food Wars. The show follows Yukihira Soma, who is a middle school student. Soma is determined to supplant the culinary skills of his father. His father decided to close the family and go to Europe in order to improve his skills. But, before leaving his father decided to enroll Soma into an elite school which is extremely difficult to enter. The graduation rate of the academy is just 10 percent. Soma will face a stern test ahead as his skills are put to the test. I really like the series, and it is something unique. If you are looking for a new anime to watch this year, then you should definitely put Food Wars on your list. It is easily one of the top quality anime to be created in the last few years. Next articleApex Legends On Nintendo Switch: When Is It Coming Out?